2014-15 is upon the Pirates with NCCU on the clock. 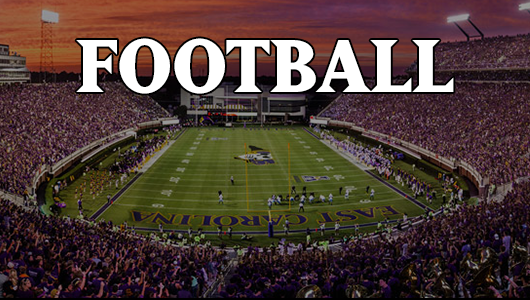 Should ECU roll over North Carolina Central on Saturday night in Dowdy-Ficklen in the 2014-15 season opener? Absolutely. There is nothing about NCCU that indicates, really, a realistic chance of an upset, let a lone a scare. That said, it is a first game with the Pirates breaking in a host of new starters. And, the Pirates do have a huge statement road game looming at South Carolina a week from Saturday. While I think that the Pirates should dominate the trenches and hence, allow the offense to operate unfettered, there are some interesting factors that might make analyzing the first game easier. The Pirates have won 8-of-the-last-9 of its home openers and the crowd will be raucous for a night game at the Fick. The Pirates have only lost once in its history to a 1-AA team and carry a 22-1 mark in this category of competition. NCCU has lost all four (4) times it has stepped up out of division since 2006 and the scores have been horribly unbalanced, losing an average of 49-8 in those games. NCCU was picked to finish 8th in the MEAC this season. Expect huge nights from Breon Allen and Chris Hairston on the ground. Now, can anything happen? Sure and that is why – as they say – you play the games. But, this NCCU team is not the 2007 App State team either in regards to talent. So, what does the match-up present? Looking at our O vs their D, it is interesting inasmuch as the NCCU defense is a 4-2-5 alignment with essentially 5 DBs sitting there to try and stop the passing attack. This means the Pirates will face a smaller, but faster set of coverage players. So, this game is a perfect opportunity to work the running game…to see what the new linemen can do and the stable of backs getting a lot of reps to either run all over the visitors or force them to change personnel. It should also give the Pirates a chance to test the deep ball early this season…see what we have on the outside and if Shane Carden can be accurate over the top. Our offensive line averages 6-5, 298 across the front against an NCCU defensive line averaging under 6-2, 250 pounds. This should be a decisive advantage for ECU’s offense as the OL is not only big, but also very athletic against an undersized DL. Breon Allen should have space and Chris Hairston should have lanes to the 2nd level. The caliber of talent at wide receiver should be able to work the short and intermediate routes even with 5 DBs playing tight coverage. My guess, particularly, is that we should see Davon Grayson, Cam Worthy, and Jimmy Williams really able to stretch their legs on Saturday night outside and over the top. A nice challenge for Carden to see if he can consistently hit those guys on deeper routes. The NCCU D gave up close to 450 yards of offense to opponents per game against MEAC programs along with 28+ points per game. Also of note, the NCCU defense has only 1 senior on it and 5 total upperclassmen. 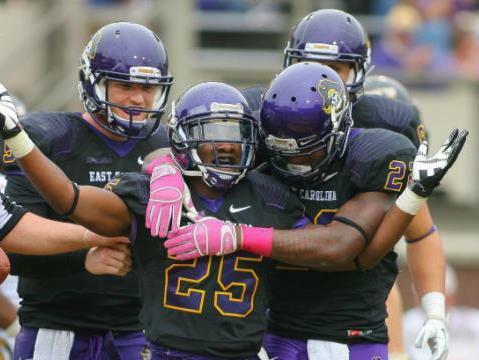 They are young out there and will not doubt be impacted by the atmosphere at ECU. Flipping over to the Pirates D vs their O, our thin defensive front may have a good workout ahead, but the linebacking unit should help off-set the fact that NCCU has a pretty big OL themselves, averaging 6-4, 306 pounds. The Pirates D front is much bigger and athletic than NCCU has experienced, but with that size and a game plan to attack via the air, their could be an early challenge for our D Line. The NCCU offense is counting on new JUCO QB Quin Billerman (who threw for more than 2,900 yards and 30+ TDs at NM Military in 2013) to pass over the stout ECU defensive front and attack the newbies on the back-end. They have an experienced set of receivers, though not particularly big in stature. Still, the big tell on this offense is that a year ago, they were…well…horrible…they only managed ~264 yards of TOTAL offense a game against MEAC competition in 2013. And, from a passing perspective, they could only muster about 155 yards per game in the air. What this indicates to me, is that Saturday night we will learn very quickly if Maurice Falls and Montese Overton are the dynamic pass-rush duo we all think they are. They will have plenty of opportunities to meet at the QB. We will also see if our new set of DBs are as physical as we are hearing as they try to lock up the NCCU receivers allowing the front 7 to focus on making the visitors one-dimensional. Wilkins is a special player and capable of also making plays at WR. Where we should all be paying attention is on special teams. 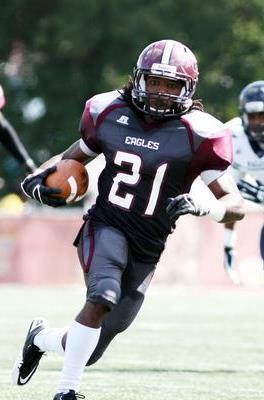 NCCU has one of the most dynamic kick returners in the nation, all levels considered in junior Adrian Wilkins (#21). 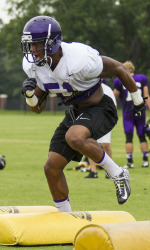 Wilkins is a very good athlete and has a nose for kick returns (ala Dwayne Harris). Some guys just have it and Wilkins is one of those guys regardless of who it is against. Pirates coverage teams will have to perform to not allow a cheap TD or an easy field position for a team that will need those breaks to hang in there. On the ECU side, we definitely all are eager, without a doubt, to see how Worth Gregory does at punter and holder. Also, I think we see a spectacular year out of Warren Harvey this go round. The score will be less important than how efficiently – that is, how easily – the game is won and how healthy we are afterwards. By the way, if you want to get a small high view of NCCU, check out Ryan Weymann’s game-focused pump up vid here. Ryan does a great job on these. 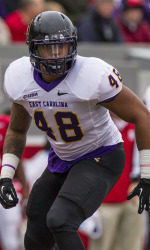 In past seasons, ECU has played what is considered lower tier opponents but they were schools like App State or ODU. Most years we opened with a tough opponent, so it’s weird being like a 40 pt favorite. At any rate, Go Pirates! We will be there with our gold shirts ready to see the 2014 team! Ahoy JR…great to hear from you! 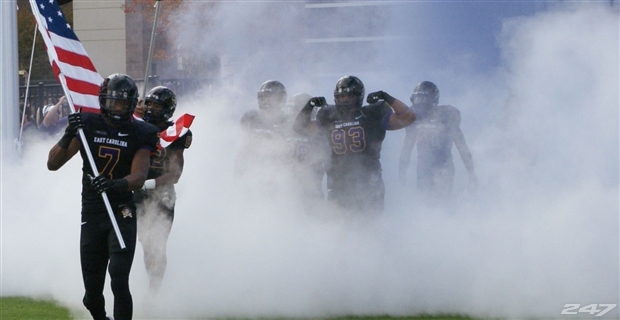 It is odd, but probably not bad for ECU this time around. I am going to be paying attention to their sharpness and our depth. Hopefully, Carden and crew get some bench time this weekend and we get to see some of the younger guys. From watching the practice videos on HTC and PI, I am not nearly as confident in our field goal unit as you are. I hope I am wrong and Warren can pull it together! Hi Robbie…welcome and thanks for posting a comment. Is it still inconsistency as the issue? How has the transfer place kicker looked compared to Warren? Would love to hear more on this. Yes, both units have looked dismal. Now I understand it’s a snippet of a video from a snippet of a practice and it doesn’t resemble true game situations because they are lining up the o-line and kicking back to back but still, more than enough kicks went to the left then I would have hoped. This wasn’t from a great distance either unfortunately. Sadly, it appeared the backup situation was only worse. Hopefully it all proves to be wrong and these guys get it together but the single biggest area I noticed of concern in all the Fall Camp video I watched was around our special teams. That is so frustrating with a senior kicker, but the coaches know what we have. Perhaps we will continue high 3rd down percentage and red zone numbers to off-set marginal kicking. Thanks for the info Robbie. I agree that this game should be one that does not go to the 4th quarter in doubt. I’d say our subs should get considerable playing time in the 2nd half, and that will be interesting in itself. I will be very interested in seeing which freshmen burn their redshirts in the first game – indicating that the staff believes they will be contributors in their first season. I continue to be impressed by the depth and talent this coaching staff has managed to accumulate at ECU; IMO we have greater quality depth than we ever have had and hats off to the staff. Changing the subject for one second, let me congratulate you on another very enjoyable Bonesville Magazine. I always enjoy the articles written about the incoming players and read them multiple times. So glad you stopped by TtH…great to hear from you. Like you, I am very interested in seeing whose RS gets lifted. I am torn though, as I really would hate to see Anthony Scott lose his RS and more than two of the receivers (I am thinking that Stephen Baggett and Terrell Green could play). Ruff and crew have managed to build depth here. I am curious to see how some of the RS-FR play…especially on D.
BTW, thanks for the comment on the magazine. I let go of editorial control this year and this may be my last year contributing (too much going on these days) but I love speaking with and writing about the new players. I have pretty much interviewed every scholly player to come into the program for the past 16 years. I hope Danny at Bville will someday put all of them out electronically as a historical reference for everyone. Anyway, your comment means a lot to me…thanks. Ron, Nice read as always and its tough to add more than what you have. I’m not a big fan of games like these for fear of injury as teams tend to take more cheap shots if they are getting blown out. In addition I’m sure the coaches don’t want to show to much here either. I might be making a bigger deal about this than I should but I think the month of September will say a great deal about the long term future of this program. IMHO last years team could have pulled off a UCF type of season as things totally fell our way but that did not happen. Very good but could have been elite. This year on paper I think we have our best team on in the Ruff era. The media continues to promote the idea that the P5 and all of their bottom dwellers are far superior programs deserving of all the riches that come their way, while programs such as ours should feel lucky we are able to take the field and should be happy with the crumbs we are left with. This is our time to make a statement especially with this being the last rodeo for Shane, Justin, and I fear Lincoln. 3 wins blows up the entire concept of the P5, 2 wins makes a huge statement that we belong as well. Even a win against UNC says something to those in the state. Coming away with nothing here I think sets us back and will only widen the gap faster from those P5 programs and ourselves. Basically I think this is what we have wanted as a program for all of these many years, a chance to show that we belong despite the fact the deck has been stacked against us for as long as I have followed this team. I don’t want to blow this out of proportion but I think with the current climate in College Football I think this might be the most important month we have seen. I’m happy in that I think we have the talent to compete. Go Pirates. Nice comments…I totally agree. Specifically, your comments on how this season is what most Pirate fans want/should want in regards to SOS, plenty to play for, and the “chip”…I for one am more excited than I can remember for a long time. I am thrilled that UNC-CH is ranked and want them to be that way when they show up at Dowdy Ficklen. September, indeed, seems like it is shaping up to be a pivotal time period in ECU football history based on the churnings out of our control. Let’s cross fingers hoping for an injury free Saturday night. As a team, we must come out with a mentality like we are playing Alabama or Florida State. This team has to start off believing from the very first play of the season to the very last that they will win every game they play this year. No matter what the score board reads. STAY FOCUSED, STAY HUNGRY! Our depth players should see quite a bit of action this game and we just might find a hidden gem or 2. I hope to also see some of our younger guys on special teams shine. STs play is a good measuring stick to see which underclassmen might become the future stars of this team. The fans need to pack DF and be a raucous bunch. Not just for this game, but every game. I want the nation ( and recruits) to see our atmosphere is for real and we take our football serious here at ECU. I’ll be just one in my group of raucous fans come this Saturday night. OMG BBG…did I not respond? I think you were right in that we got a lot of kids on the field which will help if not tomorrow night, over the course of the season. Now, our team must translate to the next level. Can’t wait for the game against USC.